If you own your own home you already know how expensive maintenance can be. If you’ve been lucky enough to avoid paying out for any major home repairs yet, cross your fingers. Major home repairs can cost tens of thousands of dollars – easily, and sometimes there is nothing you can do about them until it’s too late. Take a look at these 4 costly home repairs that can put your 5-year plan back a decade. Foundation problems are common issues in homes with basements. Poured or block, finished or not – the chances that you will face paying for some amount of foundation repair during your time as a homeowner are high. If any of the following sound familiar keep your checkbook handy – you may be in for a costly surprise. Mold looks harmless at first. A bit of bleach and some elbow grease, right? Mold colonies can grow to enormous size inside your home without you knowing. A bit of black dust in the corner of your bathroom can be a sign of much larger problems elsewhere. Infestations that aren’t properly contained and removed can spread like wildfire. Inside walls, heating ducts, even underneath wallpaper – mold can, and will, live on almost anything. 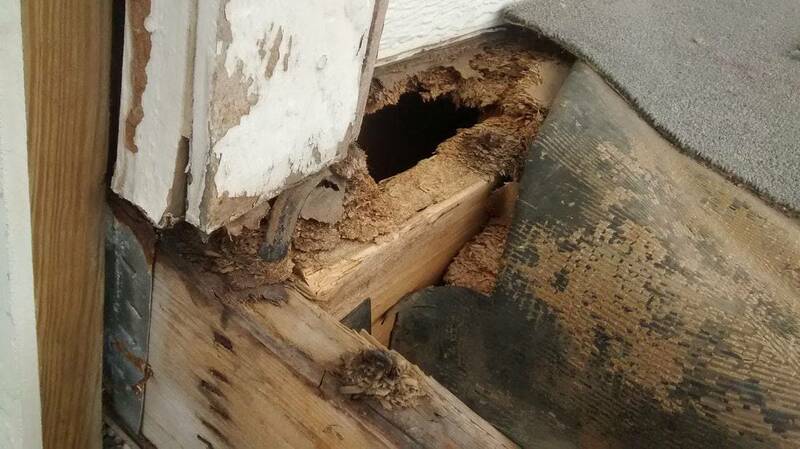 If you’re unlucky enough to host a thriving, but hidden, infestation your best-case scenario is paying for an expensive specialist and doing all the heavy lifting yourself. Properly treating your house for mold requires special equipment to test for and remove spores in the air and colonies hidden behind your walls. Even small amounts of mold left behind will grow, feasting on your expensive new sheet rock. Roofs have a finite life – they can only withstand so much water, wind, and sun before they begin to fail. Shingle roofs, the most common form of roofing materials, have a general lifespan of between 10 and 30 years, depending on where you live and the materials used. Failing shingles can let water and pests into your home – compounding the cost of replacing the roof. When it’s all said and done, your old roof can set you back thousands of dollars. A failing HVAC system can be extremely expensive. Depending on what is going on you may need to replace your heater, air conditioner or even the ductwork sealed away inside your walls. No matter what the repair, you will need to hire a licensed HVAC contractor – who is also going to cost you a pretty penny. Home repairs can really cost you. When you have a major system failure or are looking at extensive repairs you can’t afford or don’t want to make, selling your home may be your best bet. Unfortunately, selling a home in need of major repairs is difficult and the time it takes to find a buyer will only make the situation worse. ​Contact Seller’s Advantage or call us at 1-800-208-3243 to get a no-cost, no-obligation quote on your home. We purchase homes in AS-IS condition and can give you a cash offer in as little as 24 hours.